Damon Amadeo Buxton è un chitarrista e compositore classico contemporaneo con una discografia di nove album e spettacoli registrati sul palcoscenico mondiale. Damon Amadeo Buxton es un guitarrista y compositor clásico contemporáneo con una discografía de nueve álbumes grabados y actuaciones en el escenario mundial. Damon Amadeo Buxton ist ein zeitgenössischer klassischer Gitarrist und Komponist mit einer Diskographie von neun Alben und Aufführungen auf der Weltbühne. 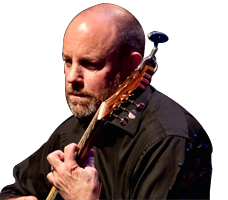 Damon Amadeo Buxton is a contemporary classical guitarist and composer with a discography of nine recorded albums and performances on the world stage. Sign up with your email to learn about new music and concert dates - it’s the only reliable way to find out about them. We don’t share your information and it’s easy to unsubscribe.